Air travel rules has been implemented as a necessary answer to the perceived security threat of flying these days. In many major airports around the world you need to pass through a metal detector and may also need to remove all items in your pockets, take off shoes, show the contents of your carry-on luggage and present a laptop or other large electrical items for scrutiny. In some cases, you may be required to pass through a body scanner. Typically you will be asked if you have packed your own bags and if you are carrying something on behalf of someone else. You must tell the check-in agent in advance if you suspect that someone has placed something in your bag without your knowledge. 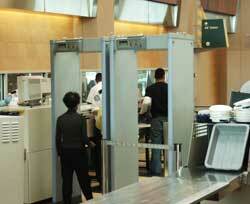 If you refuse to follow these procedures, you will be detained by airport security. It is important to follow air travel rules. If you do not know what they are, you can contact the airline or airport you plan on using. You can also find air travel regulations on their web sites or on the websites of the departments of transportation of the countries to or from which you are travelling. You can learn about banned items as well as specific information regarding them and various exceptions that may apply. You can also learn about the specific screening process at the airport, the security checkpoints that you will need to go through and any documents that may be required for travel. Once you have learned the air travel rules, it is imperative that you follow them or there will be consequences. For example, if you do not cooperate with airport security, you could miss your flight as authorities are not required to hold a flight for security reasons. In addition to missing your flight, you could be further detained by airport security or local authorities and will be required to make a reservation for another flight. However, on the rare occurrence that you are detained by airport security, most incidents are cleared up within a short period of time. The air travel restrictions that are most closely enforced are those that have to do with banned items, such as drugs, guns, bombs or other weapons. If you try to sneak one of these items on board a plane, you will certainly be detained and may suffer further consequences. It is important to follow all rules so that you can be assured of having a safe and incident-free flight.